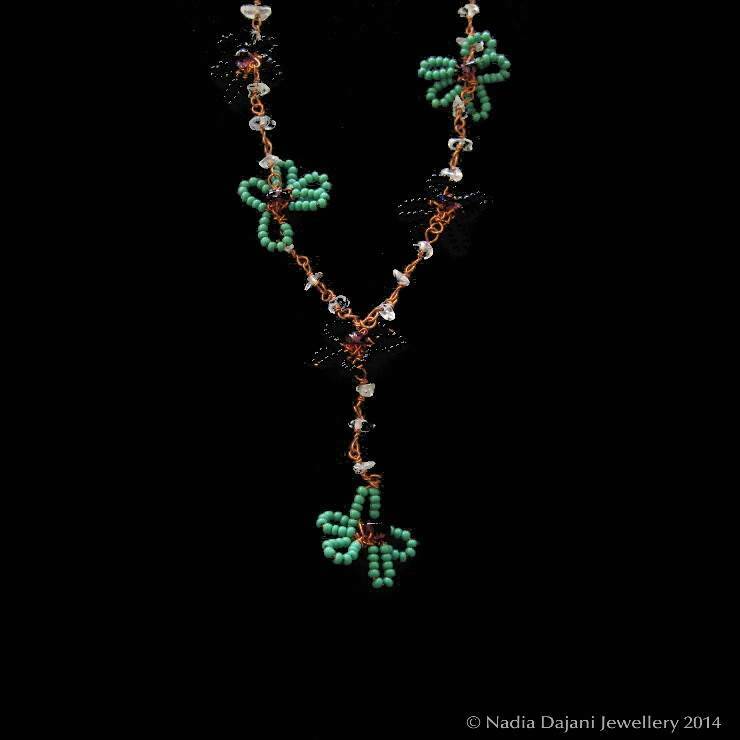 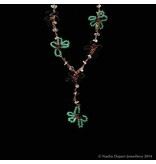 Glass beads make up this flower necklace which is connected with copper wire and gemstones. 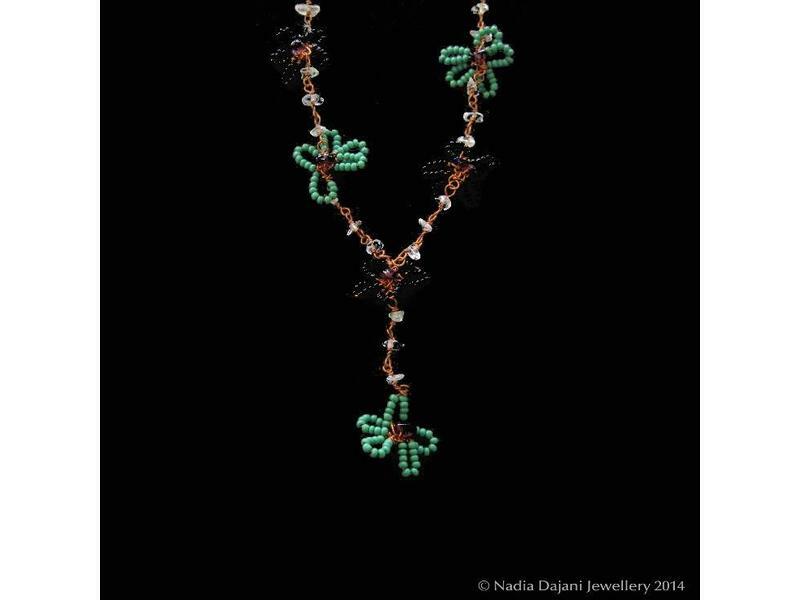 You can order this necklace in any colour combination of your liking. 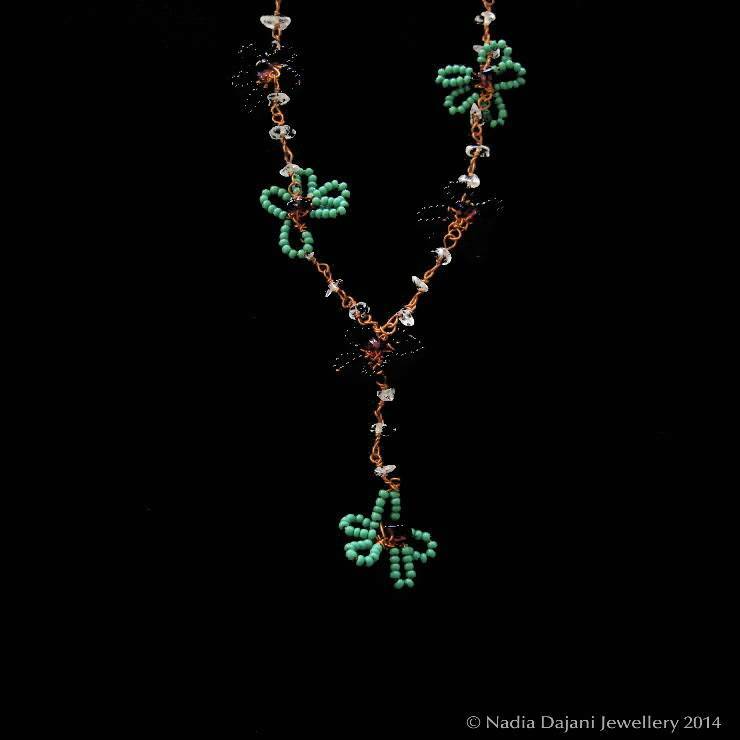 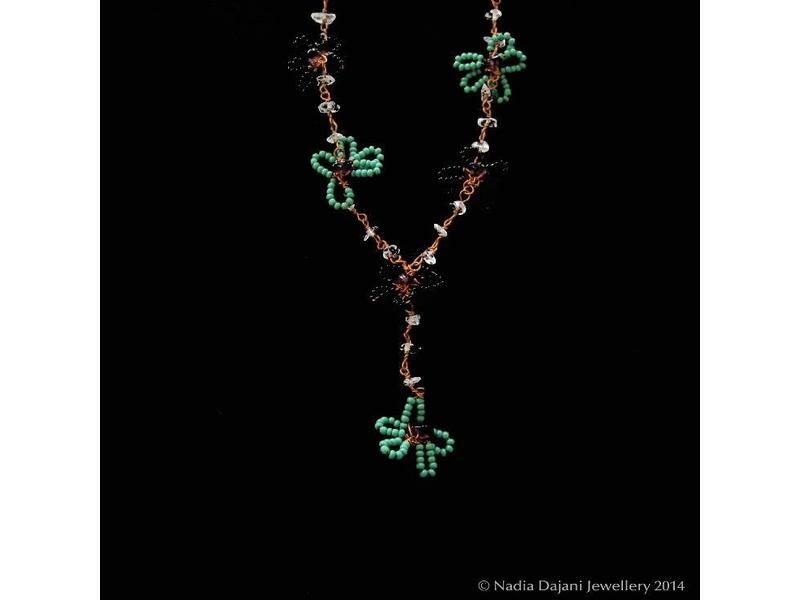 All versions of this necklace are all made by our artisan, Zeinab Salman, who chooses the colour schemes herself, and who produces them year-long.